Thank you to sixty-three people who joined us on April 18 for our lively meeting, including a walk through the Coordinated Entry For All process and the opportunity to give feedback on what is and isn’t working about Interim Dynamic Prioritization. Coalition staff were pleased to share news that we are hiring for our new Administrative Coordinator position, and invite people to participate in Project Cool (for information about getting backpacks for students who are experiencing homelessness, email Hillary). We sent Hallie, our Member Services Coordinator, off to her new job in Olympia with hearty thanks and well wishes. And, you got LOUD for Housing by contacting your lawmakers in Olympia asking them to #BudgetForHousing! We know that about 40 people used the email action alert during the meeting, and others made calls – thank you! Coordinated Entry Deep Dive handout from Joanna (including CEA experience flow, CEA Priority Pool workflow, definitions, and prioritization formula). Prints best on 8.5 x 14 paper. Mobility Policy Handout also available online here. Mobility Request Form also available online here. Africatown International Diversion Fund Information. More diversion information available on All Home’s website and Africatown International’s website. Coalition members asked questions about Diversion, and Joanna clarified that someone is eligible for Diversion if they are literally homeless (staying in a shelter, outside place not meant for human habitation) or fleeing or attempting to flee domestic violence without a safe housing option, or a youth with two weeks or less before they need to leave their current residence. People who are currently housed but at risk for losing that housing should access prevention resources. Prevention resources can be accessed by calling 211, and not by going to a Regional Access Point or talking to a housing assessor. 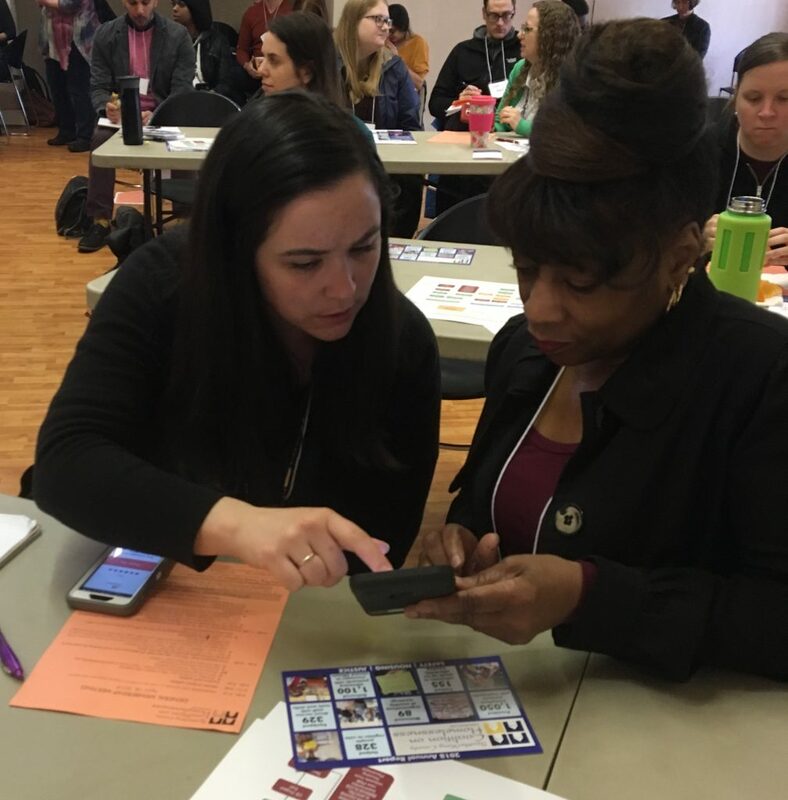 Staff at social service organizations who wish to have access to centralized Diversion funds available through Africatown International must take a Diversion training – more information and registration can be found online: http://allhomekc.org/diversion/#training. Questions about Diversion should be directed to Zachary DeWolf at All Home. Questions about Prevention should be directed to Kimberly Dodds at King County. Transitional Housing: Concerns were raised about families leaving Transitional Housing not having anywhere to go and not being eligible for Diversion funds to help with move-in assistance. Joanna answered that if a family enters a Transitional Housing Program and it becomes clear they will not be able to successfully move into market rate housing, the staff should request a mobility transfer to Permanent Supportive Housing if that level of support is appropriate – more information about mobility transfers is available here. Note: Discussion at our meeting highlighted the fact that many families in Transitional Housing Programs have nowhere to transition to due to the lack of affordable housing, but are not necessarily in need of permanent supportive housing. This discussion highlighted the possibility that it is necessary for move-in or diversion-like funds to be available for families leaving Transitional Housing. Safe Havens were brought up as a possible housing resources for some individuals. An Acuity Review Team (ART) will soon be convening to look at assessments that have been flagged as inaccurate. Individualized Resource Tools will be in use beginning this summer — we have asked Joanna to share descriptions of these elements of the system and will post that information when available. The name Coordinated Entry For All implies this is something everyone should access, but since now most people are being served through Diversion it is misleading. Because there is no longer banding, and because Interim Dynamic Prioritization is working to identify the most vulnerable families in our community, CEA is now referring very vulnerable families to all housing options and not just Permanent Supportive Housing. Staff may have difficulty following up with families who are highly vulnerable, and/or families may determine that alternatives such as Rapid Rehousing are not good options for them. Who is assessing the implications of this approach? There also may be difficulty in contacting families that are this vulnerable because they do not have working phones or have difficulty making appointments. Concern that some community-based assessors are not experienced enough at working with high-needs or special populations. There is a need for more assessors to be based at community organizations, so they know the clients they are working with, or for outside assessors to be highly trained social workers who have experience working with this population. One experienced staff member at a family service provider remarked that although she is very familiar with CEA, and tracks the multiple changes, it was clear how many people at this meeting were hearing information for the first time. She suggested that CEA provide monthly two-hour orientations on CEA for new staff as well as to provide updates on ongoing developments. HB 1406/Robinson – allows local communities to retain a portion of the state’s sales tax to invest directly into affordable homes (this is not a new tax, but allowing local jurisdictions to keep some) – This bill/priority is alive, but needs our support! It needs to be funded in the Senate budget. Action: Email your lawmakers today. SB 5600/Kuderer (companion to HB 1453/Macri) – reforms evictions & gives tenants more time to pay late rent (from current 3 days to 14 days) – Passed both the House & the Senate! Needs concurrence (back in the Senate to make sure that they agree with amendments the House made), then to the Governor’s office. Update 4/25 – this has been concurred and will soon be to the Governor’s office! HB 1440/Robinson – Requires 60 day notice of rent increase (currently 30), and no increase of rent during a lease – Passed both the House & Senate and will be signed by the Governor next Tuesday! HB 1603/Senn – reverses harsh sanctions and time limit policies on TANF. Most notably, it eliminated DSHS’s ability to permanently disqualify families from TANF for repeated noncompliance sanctions, and adds a new time limit extension for homeless families (including those in transitional and supportive housing). SB 5207/Dhingra – requires DOC to notify anybody being released of their right to restore their vote! Signed into law by the Governor and goes into effect 7/28/2019. We’ll share more updates at our May meeting and Voter Registration trainings. SB 5063/Nguyen – pre-paid postage for all election ballots. Passed in the House & Senate, will soon go to the Governor. SB 5079/McCoy – Native American Voting Rights Action. Signed into law by the Governor! Housing Trust Fund – funded at $175M in Senate, just $150M in House. HEN – funded at $15M in Senate, just $12.7M in House. Action: Email your lawmakers asking them to use the Senate allocations and maximize funding for affordable housing and HEN, as well as support progressive revenue.